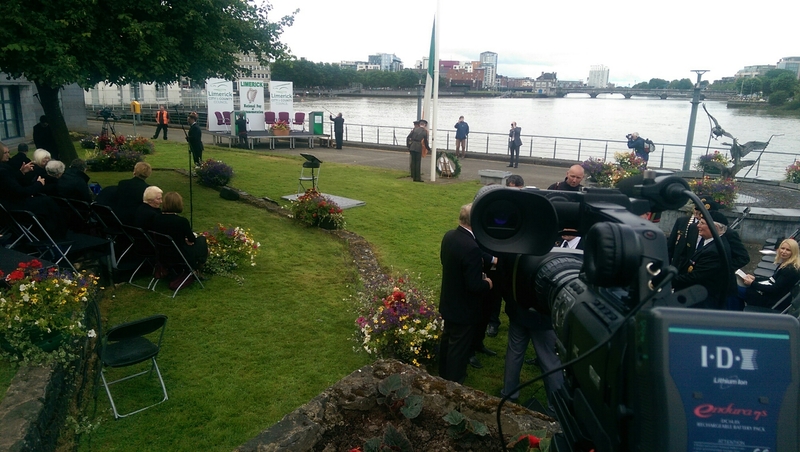 On Sunday 13th July I had the pleasure of filming Limerick’s national day of Commemoration at City Hall. The rain stayed off long enough for representatives of several religious and political backgrounds to honour all those Irishmen and Irishwomen who died in past wars or on service with the United Nations. The completed DVD was produced for Limerick City and County Council.